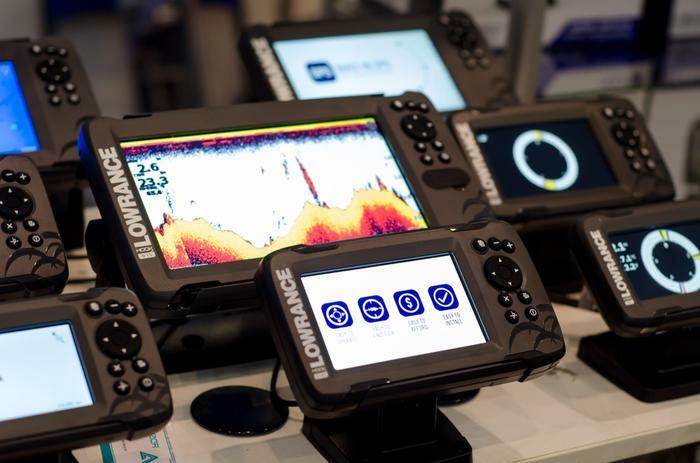 As a fishing enthusiast, you may have heard of a fish finder before. 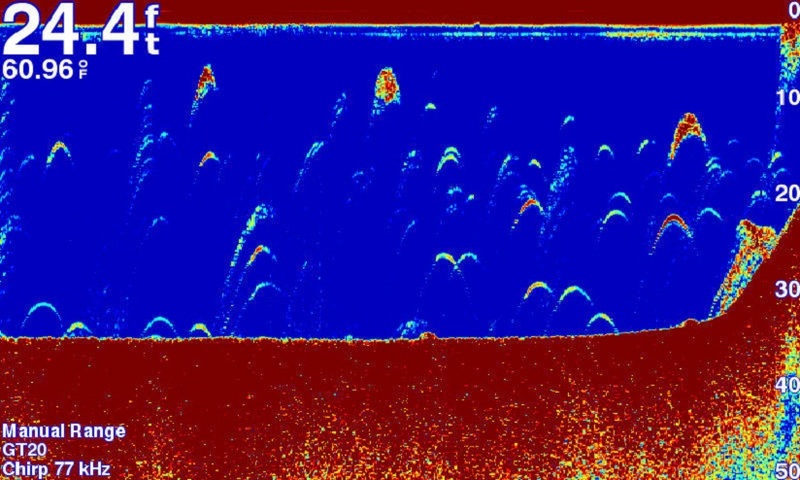 However, not every fishers know the technique on how to read a fishfinder. It may be complicated at first but after using it a few times, reading and using it is actually quite easy. In this article, we will be explaining in details, how this machine actually works. 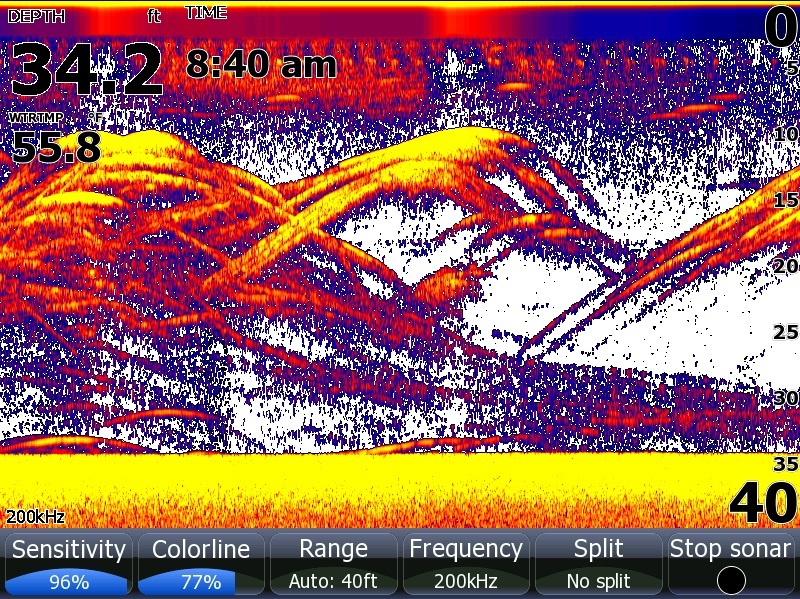 The simplest explanation is to know that all fish finders uses sonar in order to operate. 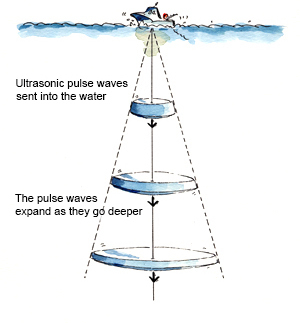 Sonar means that they will send a signal to the depth of the water at all times and measure the returning signal. In other words, a sonar will measure the time and the signal strength that is sent and received. The signal is then analyzed and displayed in real time in simple symbols. Those symbols will have to be read carefully as they will make a massive difference in determining whether there are actually fishes below the boat! First of all, there are a lot of different models available on the market and most of them display different symbols. Nothing to worry about as we will generalize the matter and help you understand the symbols that can be related to any fish finder. Modern fish finders can display signals in two forms. The first form is more suitable for beginners. Basically, you will see fish icons on the screen. When detected, it will simply mean that there are fishes below. These icons will vary in size and shape, meaning that the fish finder will automatically display the size of the fish beneath the boat. However, professionals uses a different method. They use archers. For them, this method is more accurate and easier to comprehend. Instead of fish icons, they will see arches, which will vary in size, length, and width. Let’s take into consideration that you are using fish arches to find fish. You already know that there is fish in the water, so you can start fishing right away. But, how big is that fish? This is where you have to pay close attention to the length and the width of the arches. The length of the arches is caused by a fish that is stationary or moves slowly. It doesn’t have anything to do with the size of the fish. So, a small fish that is stationary will display a long arch. Therefore, do not feel excited after seeing a long arch, as it may actually be a very small fish. The size of the fish will be displayed accordingly by the width of the arc. As such, wider arches will suggest there is a bigger fish below. If you are a beginner, we suggest you to get used to the fish icon first. Use it until you get an idea on how the fish finders actually operate. The next important thing is to understand that underwater structures plays an important role. Here are a few facts to remember. Don’t forget that a fish finder will constantly scan the area beneath the boat and make adjustments to the display. Humps and drop offs are very easy to spot on. Basically, they are presented as they look, so you can detect them within seconds. Here we must mention a few, additional processes. The first one is to switch between wide and narrow signal scanning. This will simply give you a much better insight into what is beneath the boat and how it looks. Now you will have to turn on the depth alarm. This is important as you will want to be alerted of the desired depth upon reaching it. Almost all fish finders come with a classic and day color setting. The classic one is definitely a better option for beginners. Basically, you get green vegetation displayed, which is simpler to understand. A day mode will display them in purples, which may be a bit unclear for some of you. Fish finders for ice fishing are a little different, they are more specifically used during winter and snowy conditions. Now you will want to see what type of surface is at the bottom. There is a simple way to do this. Orange is used to represent the hardest types of bottom. Brown is used for representing soft surfaces. Hard sea bottom floors are always presented in one, single line. Softer ones are presented with dashes and green additions. More of them means a softer surface, which isn’t very consistent. 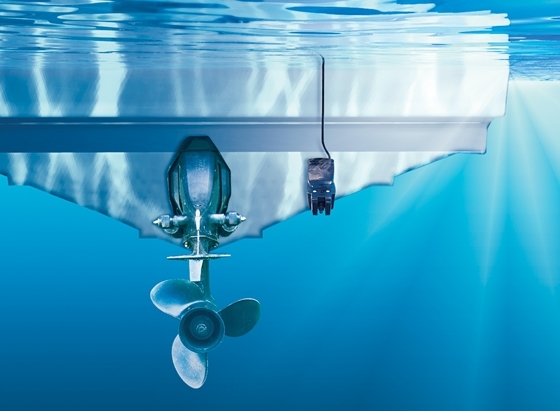 More advanced fish finders will have the ability to measure the thickness of the floor. You have the ability to adjust the sensitivity in percentages. Higher sensitivity should give you a more accurate data. This data is useful especially when you are fishing in a new area. In the end, all we can say is that fish finders are relatively easy to use and comprehend. Yes, you will need some time to get used to them if you are a beginner, but all of this is incredibly simple and easy to use. It is important to note that we have only covered the simple and basic factors on how to read a fish finder in this post. If you are interested in more, you will need to analyze the advanced settings and features of your fish finder to get the most out of it.